Emily Ferris is a Marketing and Communications Intern for Grameen Foundation based in our Washington, DC office. I remember reading about the success of Grameen Bank before my Global Issues, Local Solutions class one day and thinking to myself, “What an incredible idea!” Microfinance is such a straightforward model with such a powerful impact – who wouldn’t be impressed? So when I set out on my internship search for summer 2010, Grameen Foundation was the first place I looked. I joined Grameen Foundation in mid-May as the Marketing and Communications intern. I work closely with staff to communicate the foundation’s mission and progress moving people out of poverty. Every day is different from the last. I can be researching target audiences for some of our program pieces or editing blog posts one minute and corresponding with conference organizers the next. The position has given me valuable insight into the day-to-day operations of a nonprofit organization that will serve me well no matter where I end up in my professional life, especially through projects like blog posts and publications where I was able to learn to better craft my own writing. At Grameen Foundation, I’ve met inspiring people, had great experiences, and had a world-class crash course in the microfinance industry. When my friends ask me what I did this summer, I can say that I spent it in the fight against global poverty. I became part of the solution. Will you be one of the next to volunteer your time in the fight against global poverty? Grameen Foundation is currently accepting applications for our Fall 2010 Marketing & Communications Internship. Be sure to apply here or send the posting to an interested student in the Washington, DC area. Veteran marketing executive Madelyn Hammond, President of Madelyn Hammond & Associates, and Emily Lynch, West Coast Coordinator for shoe designer Christian Louboutin, recently accompanied GF staff on a site visit to Peru to witness the impact of microfinance. Once acquaintances, and now lifelong friends, both are dedicated supporters of the Grameen Foundation. Six people who didn’t really know each other went to the Amazon to see Grameen Foundation and their local partners in action. Four days later we were friends for life and would never look at the world the same way again. This special expedition to Pucallpa, Peru was a combination of divine intervention and supreme coincidence. Madelyn (left) and Emily in Peru. Almost a year ago, the world famous shoe designer, Christian Louboutin, was given a list of ten charities for him to review and then select one to really get involved with. Without knowing a lot about Grameen, the idea of microfinance appealed to him and that these loans were primarily made to women made it even more perfect. Emily Lynch, who is the West Coast Coordinator for Christian Louboutin, and responsible for overseeing their Charity associations in the U.S., was charged with spearheading the project. She knew to really get Christian involved would require first-hand knowledge of how a “charitable gift becomes a loan” and actually meet the “borrowers”. I’m a marketing executive and was already somewhat familiar with Grameen through Yeardley Smith, (the voice of Lisa Simpson), who was a former client. Yeardley’s two trips to Haiti really inspired and made me want to experience a Grameen trip on my own. We were expertly guided (and educated!) 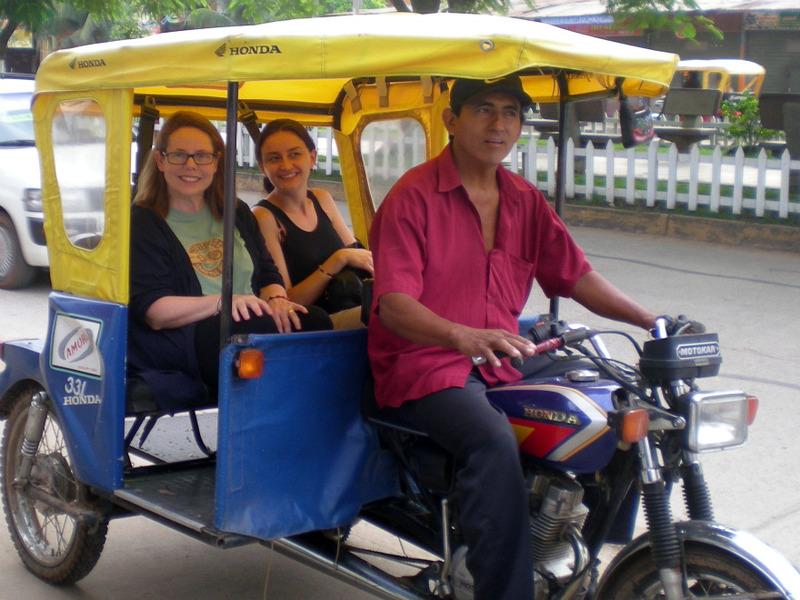 through various towns in Peru by several Grameen and Prisma (their local microfinance partner) associates. Alberto Solano (Grameen’s Regional CEO), Mary Irvine (Grameen’s Regional Director of Development), Diego Fernandez Concha (Director, Prisma), and Lori Ospina (Grameen’s Program Assistant). 1. …are resourceful. There is a misconception that poor means lazy. What poor is…is a lack of opportunity. The women we met all have 4 or 5 jobs depending on weather, time of year, crops or children. 2. …are resilient. The women had an attitude of “whatever needs to be done will be done”. We saw an incredible work ethic coupled with practicality and strong survival undertones. 3. …just like other women. The mothers want the same things all mothers want—healthy, educated, successful children. We saw women who were “Avon saleswomen” [the equivalent of? ]and took pride in their appearance although they were dirt poor. All the women had the same hopes and dreams we all share. 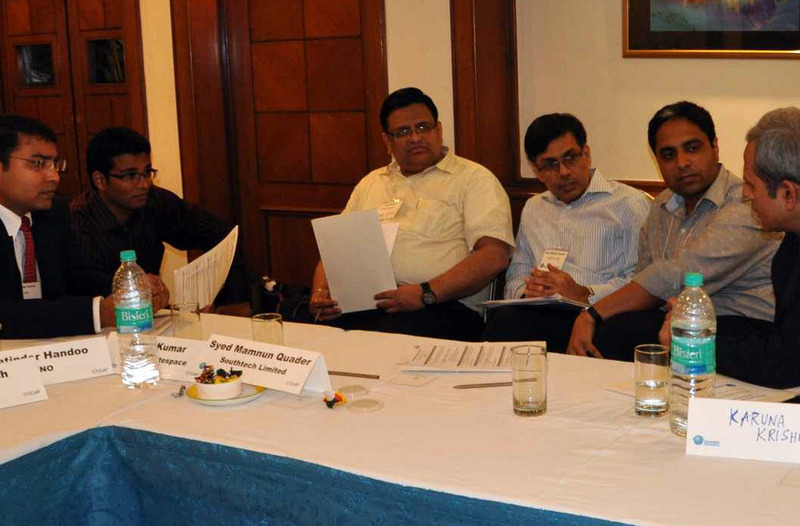 Preeti Wali is Communications Officer at the Grameen Foundation Social Performance Management Center (SPMC). She is based in Washington, DC. Preeti and her colleagues recently completed a trip to Senegal and Mali in support of Progress Out Of Poverty Index™ (PPI™) trainings. Check out our PPI blog for more posts, and you can keep up with our social performance work @gfppi on Twitter where we have been live tweeting during our travels. The most common questions during training are usually around specific PPI indicators and how they are chosen, why they are chosen, and if they can be changed. However, the PPI is not just a compilation of random questions; each question is carefully chosen through a statistical logit regression process, based upon the national survey and the correlating strength of the questions, to determine poverty likelihood. PPI trainers use exercises like the one about the car to show how those indicators are chosen, Trainees learn that the PPI is the sum of its parts, not to be broken apart. This said, it is common practice in the PPI development process and it is absolutely vital that we obtain input from institutions working on the ground to determine if there are large concerns with any of the indicators and, if so, to consider putting in a different indicator that is statistically relevant. Grameen Foundation needs your vote to win a $200,000 grant to continue fighting poverty using tools like the PPI. Spread the word and check out our video series. Celebrate the Global Game by Fighting Global Poverty! Jessica Smith is a Marketing & Communications Intern for Grameen Foundation based in our Seattle, Washington office. 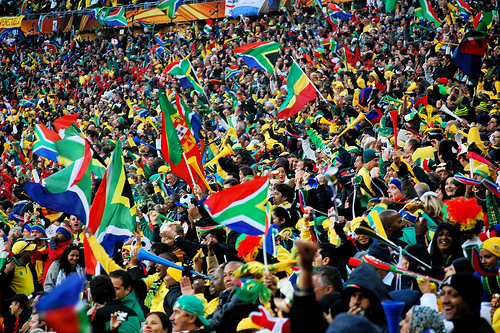 Brazil, Cameroon, Ghana, United States and….South Africa! As the World Cup Final draws closer (everyone hold your breath for July 11th!) we want to encourage each one of you to take part in the worldwide celebration of the “beautiful game,” but with a slight twist… While this worldwide competition is going on, Grameen Foundation is currently participating in a competition as well: Members Project­®. We have the chance to receive a $200,000 grant on August 30th, 2010 but our victory is dependent on YOU, our supporters, voting for us! We need you to vote once per week, every week, and to spread the message to everyone you know to Vote for Grameen Foundation! With $200,000 we could reach more people living in the grips of poverty, making the world a better place for ALL of us, one person at a time. Check out our staff video series for more ways we could spend the $200,000. This July 11th, 2010 host a World Cup party and encourage your friends/family to vote for Grameen Foundation by advertising “your admission is your vote!” Set up your computer for and have people register & vote at the then and there. It can be 5 people, it can be 50 people- every single vote matters! It’s an easy action to take that tackles an incredibly important issue. Take pictures/videos at your party, of everyone giving a shout-out cheering “Vote for Grameen Foundation!” and you could end up on our website when you send us your photos & video links to You may not become as famous as Ronaldo or Beckham, but we’ll see what we can do! If you host parties before the final, feel free to do the same, but we really encourage as many people as possible to vote together on July 11! 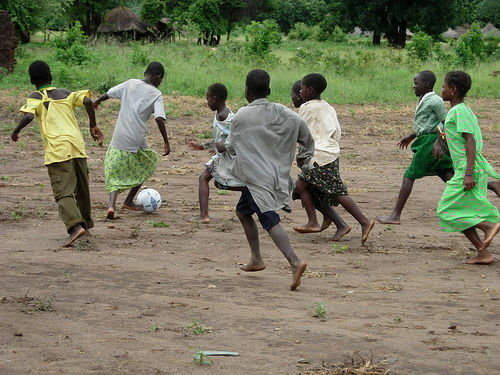 You can celebrate the global game by helping to end global poverty, it’s a win-win situation! Photo credits to Celso Flores and Adam Valvasori via Creative Commons. Charlene Balick is a Technical Program Officer for Grameen Foundation based in Seattle, Washington. She spent the last 6 months working with CGAP to organize a series of regional IT workshops. Next week on July 7 and 8 there will be a virtual webinar hosted on the CGAP blog. We convened a mix of stakeholders in each region who have extensive experience working with back-end technology platforms – and who understand the learnings challenges that have come with that work. This included leaders from: MFIs, software vendors, donors and investors, government agencies, Technical Assistance Providers, and networks & associations both local and international.